Historic ranches are ever-present visual reminders of the importance of agriculture in Idaho history and economy. They stand on the landscape as a testament to the Idaho ideals of hard work, productivity, and connection to the land. ​The goal of establishing 'Friends of Stonebraker Ranch' is to bring citizens and land owners together in a common goal of preservation and creating the opportunity for an educational, historical experience of this amazing example of early Idaho backcountry living. The pristine environment and the overall integrity of many of the structures is an advantage in preserving, maintaining and rehabilitating this property. "To make it possible for people to detach themselves, at least temporary, from the strain and turmoil of modern existence, and to revert to simple types of existence in places relatively unmodified can afford unique opportunities for physical, mental and spiritual recreation or regeneration." 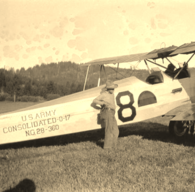 Stonebraker Ranch, is one of the earliest homesteaded ranches in the Chamberland Basin Area and the first known landing of an airplane on the ranch’s airstrip in early 1920s. 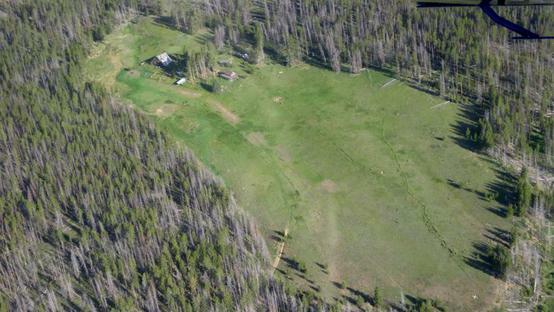 This property with its unique historical value is within the confines of the Frank Church Wilderness. A prime example of the remoteness of homesteads in the backcountry creates the opportunity to retain the historical bygones of Idahoans. The land and buildings including the fences, corrals, paths and the airstrip are part of the legacy of the Stonebraker Ranch. Many of the standing outbuildings, the original homestead house and the big barn are present. Some outbuildings have been rehabilitated and repaired, and the main house has had additional porches and repairs done. The large barn has fallen into disrepair and at minimum needs stabilization to preserve it. The notable feature is the 4 foot wooden shake broad gable roof which extends very low to the ground. The functional but yet simplicity of this design and the evident pride that Mr. Stonebraker had in building this barn shows, yet today. ​Stonebraker Ranch has a unique history. 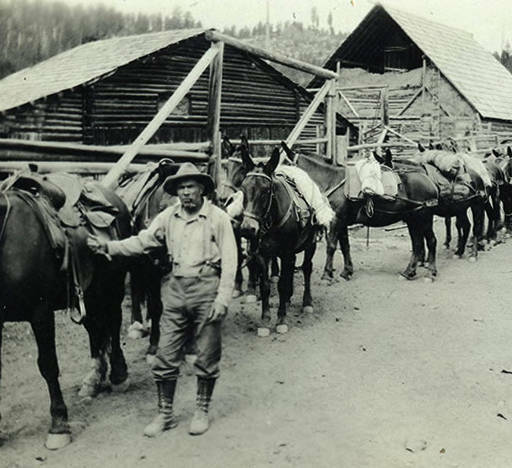 There is a rustic main cabin and a few little out cabins that are still in occasional use today. An old historic barn still stands, or leans, and it is exciting to wander about observing the antique farm implements and machinery that litter the grounds. Old tools and traps hang on the walls offering a nostalgic view into the past. It is an appreciation of the building’s historic character, that is, the sense of time and place associated with it. It is their physical presence of the past that gives historic buildings their significance. The impressions largely result from the durability and ruggedness of the materials used in them. Weathered wood siding, irregularly shaped stones, or roughhewn logs on the exterior; dressed beams, posts scarred by years of use, all contribute to the special character of this rare glimpse of early homestead life. A place, where the glimpse of the past allows our minds to wanders as we consider the people who actually lived in this wilderness environment a hundred years ago. We wonder how they lived, what they did and how they survived. We think about the long and cold winters with deep snow, the long days of summer and the work days devoted to haying and how self sufficient and hearty these people must have been.